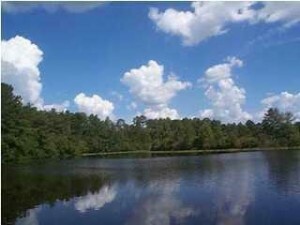 Home to over 44 lake front acres in the heart of the Ocala National Forest. Lake Bryant is one of the larger lakes in the Ocala National Forest, very popular for fishing and boating. Access is via a commercially operated ramp south of SR 40 along Levy Hammock Road (SW 183rd Ave Road), just west of Halfmoon Lake. Lake Bryant RV resort is the ideal location for exploration of the many exciting natural treasures in Ocala National Forest. Try staying in one of the premium camping sites, rustic rental cabins or have all the comforts of a full RV hook-up. The Lake Bryant campgrounds offer a getaway that is just what every angler has been looking for. Lake Bryant is a break from urban life, but close enough to enjoy any long weekend, making our pristine property a family tradition. Ocala National Forest is only 20 minutes by car to some of the most beautiful natural springs, like Juniper Springs, Silver Glen, Alexander Springs, Blue Springs and Salt Springs to name a few. The villages, a near by community offering a variety of activities like golf, bowling, cinemas, and of coarse fishing, a selection of various inside & outside dining is also available. Lake Bryant is also only one hour and 20 minutes drive from beaches of Daytona and Ormond Beach. Disney World and all the other major attractions are also just a short drive away. Once you have you fulfillment of Micky Mouse, come visit Lake Bryant a great value for your money. We look forward to serving and fishing with you real soon. Lake Bryant also has a lot of history, the American Indian canoes where found on the lake by Ed Gallagher (Park Resident) and are now in the local museum on display. A fishing pier which you can fish from is very convenient and a great place in the evening to watch the sunset. For more area lake information and professional Lake Bryant fishing guide click here!